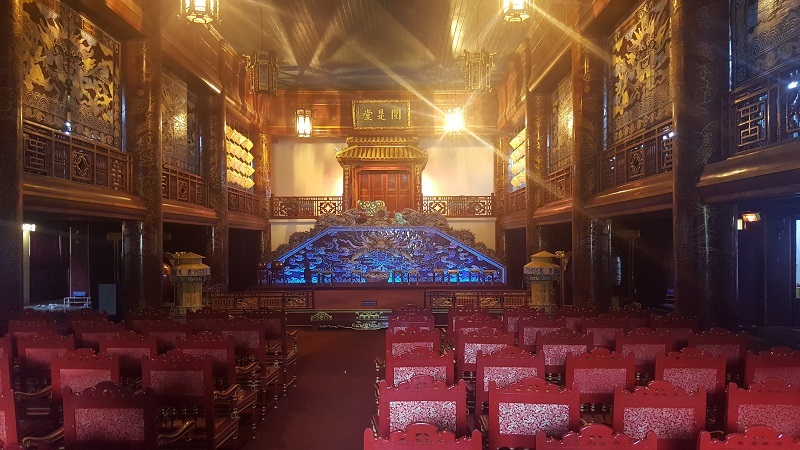 Hue holds incredible importance in Vietnam's history, and it's no surprise there are so many wonderful things to do in Hue. 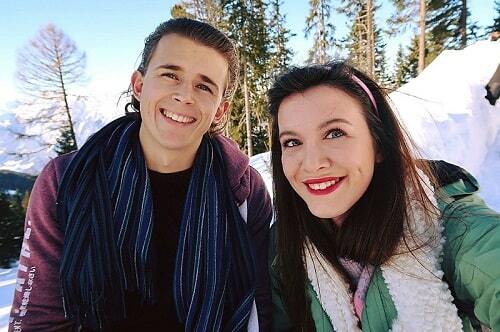 Here's 19 to get you started! Hue is a popular tourist destination that’s great for anyone choosing to visit Vietnam. There are so many fun things to do in Hue that it appeals to happy families and broke backpackers alike. However, it is known most famously for the Imperial City of Hue which has stood for more than two centuries. And as the previous capital city, it’s had a crucial part to play in Vietnam’s long and illustrious history. As such, it’s a wonderful place to learn about Vietnamese culture. So, if you were wondering, “Is Hue worth visiting?”, then I’m here to tell you that the simple answer is, YES! 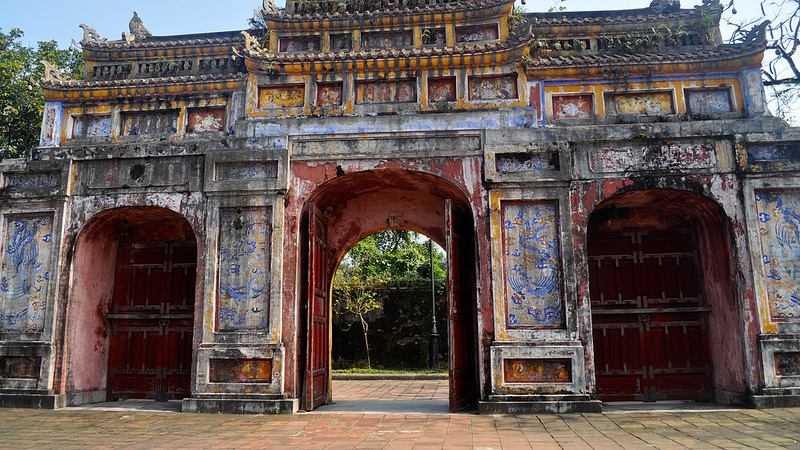 Even if you’ve got just 1 day in Hue, you need to visit the Imperial Citadel. 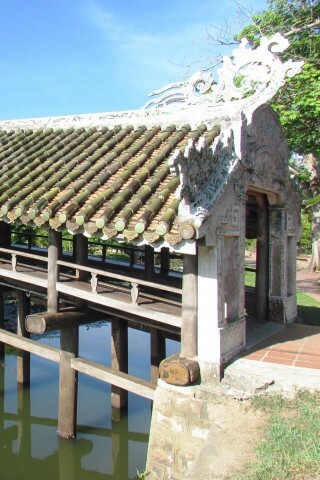 It was built back in the early 1800’s under the orders of Gia Long, who was the first ruler of the Nguyen Dynasty. For a long time, it served as the Imperial Seat of Government, but has longs since lost this purpose. In fact, it was bombed heavily throughout the 20th century, due to wars with the French and the Americans. Today, it is the most popular thing to do in Hue, and is a wonderful place to wander around and read up on the city's rich history. What dress code does the Imperial City have? According to this press release from June 2017, the dress code in place at the Imperial Palace is meant to be quite strict. However, we visited in August and there didn't seem to be too many formal checks. We were walking in shorts and t-shirts and we weren’t stopped. However, we were encouraged not to enter the temples and other sacred places housed inside the Hue Citadel. Typically, if you do wish to visit such places you should have your shoulders and legs covered, and should not wear any offensive or rude clothing. What are the Imperial City opening hours? Between the 22nd April and 15th September, you can visit the Imperial Palace between 8am in the morning and 10pm at night. These long opening hours make it great for the large amount of tourists who descend on Hue in the summer months. Outside of this time period however, it is open from 8am till 5:30 am. Except for Thursdays, when it seems to be open til 10pm. For up to date opening hours, head to their official website and scroll to the bottom of the page. What does the Hue Citadel look like? Here is a map of the Imperial City in Hue. It should help you understand where to park and which side is best to enter from. If you have any more questions, then you should check out their official website. The entrance fee into this museum is covered by the same ticket you used to get into the citadel. 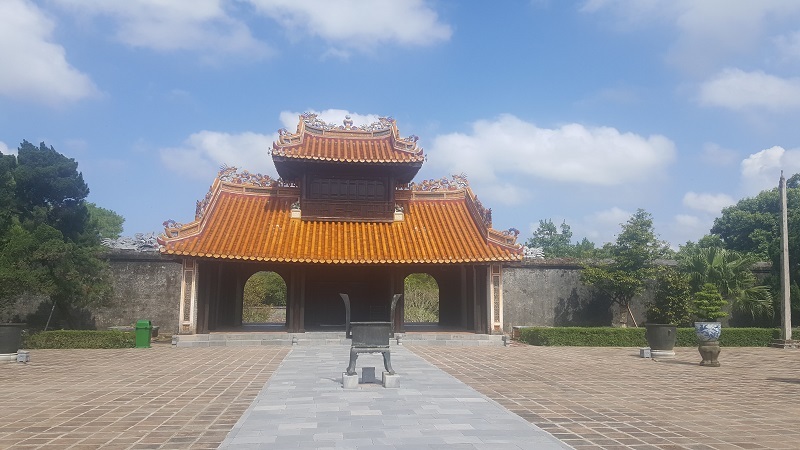 It houses relics from the Nguyen Dynasty and is situated right outside of the Citadel’s walls, making it the next logical place to visit. When you search online, reviews of the museum are mixed, as much of what’s in there aren’t really “antiques” as you might expect. But, seeing as it's free, it's definitely worth a look if you're passing by. The Tomb of Khai Dinh is perhaps the nicest tomb you can visit in Hue, as it has its own unique appeal to it. The Emperor Khai Dinh actually spent parts of his life living in France, and so become quite fond of French architectural design. In turn, his tomb strays slightly from the typical Vietnamese design and includes elements from both cultures. It is also situated on the side of a mountain, offering spectacular views. Having only been completed in 1931, it is also one of the best-kept tombs you can visit. In case you hadn't already realised, Hue is surrounded by royal tombs and pagodas, so it’s easy to get fed up with seeing them all. However, the Thien Mu Pagoda is perhaps the most highly favoured pagoda around and is an interesting place to visit. It was built back in 1844 and still acts as a working monastery. Also, it offers wonderful views over the Perfume Lake. The Tomb of Minh Mang is situated in a beautifully landscaped area which includes lakes and canals. Emperor Minh Mang oversaw the start of construction on his tomb, but passed away only 4 months in. It took another 2 and a half years for the work to be completed, and it’s easy to why. With so much care and detail, it really is a wonderful place to explore. As opposed to Minh Mang, the Tomb of Tu Duc was constructed well before the death of the emperor. It also took 3 years to construct and is just as nice to explore, and you can also look around the nearby pavilion and lakes. It’s also interesting to learn more about Emperor Tu Duc whilst you are there. He had over 100 wives but was never able to father a son (though it was likely down to him becoming infertile due to smallpox, rather than a lack of trying). Visiting the Bach Ma National Park is actually pretty easy to do from both Hue and Danang as it stretches between both cities. It was once home to a French Hill Station but is now a popular spot for tourists and locals. The area is covered with hiking trails and a few campsites if you’re that way inclined. It costs just 40,000 VND to enter the park. 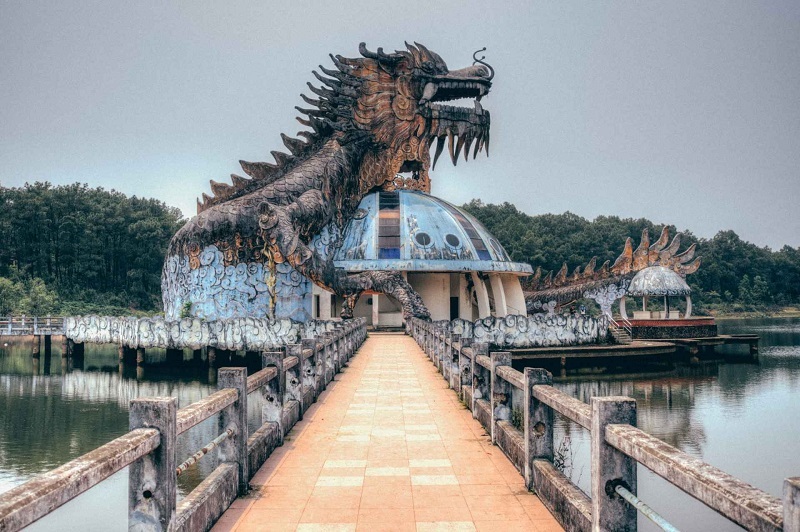 Perhaps one of the earliest and most unusual things to do in Hue is to visit the abandoned water park they have nearby. I’m not too sure on the exact history, but it was almost finished and opened its doors back in 2004. However, after being open just a few weeks, and having spent about $3 million building it, it shut down. Since then it’s been left to ruin. It’s hard to see how it couldn't have been successful, as the Vinpearl Amusement Park in Nha Trang does incredibly well. Either way, if you’re into your photography, this has to be a great place to visit. If you want to explore rural Vietnam in it's finest, then Phong NHA is definitely one of the best places to go. Amongst there things, it includes the best caves to be found anywhere in the country. So, if you're nearby you can't miss it. If you can't afford he time to go there for a couple days, or if you are flying out from Hue, then you can still do a day trip to Phong NHA. Here is a useful link to a tour company who can help you get there and back and take you to all of the best sites. 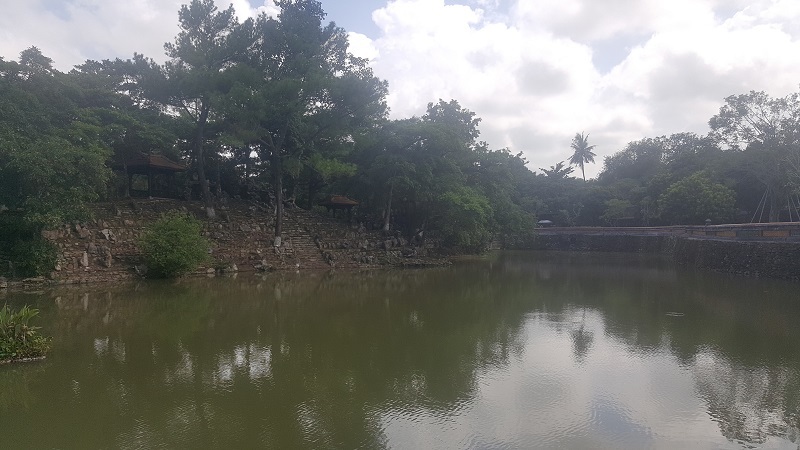 Just 3 km outside of Hue you come across Ho Quyen, which is a Tiger Fighting Arena built back in 1830. But don't worry, there’s no fighting going on anymore! In fact, the last one took place back in 1904. Which is good as well, as this arena still has marks of the grim past (there are tiger claw marks still to be seen inside some of the cages). Before each fight, the tigers were drugged and had their claws removed so they couldn't fight the elephants that came at them. This is because the elephant represents the monarchy, whereas the tiger was a sign of rebellion and it had to be crushed. If you head 10 km upriver from Hue, then you’ll come across the secluded Hon Chen Temple nestled on the banks of the Perfume River. One of the least well-known things to do in Hue is to visit the Hon Chen Festival which takes place twice a year. They includes drums and women dancing in brightly coloured clothing (or so I hear). The festival wasn't on whilst we were there. However, if you are interested then I recommend you check out this article here. The Huyen Tran Princess Temple is located roughly 7km outside of Hue city centre and lies at the foot of Ngu Phong mountain. The temple is rather lovely in and amongst itself, however, many people visit to also walk all the way up to the Hoa Binh belltower. It can take a long time to walk up all the stairs, and is not one of the better things to do in Hue when raining as the stairs can get slippery. However, the panoramic views down over Hue make the walk worthwhile, despite the effort it takes. I’d recommend having your taxi driver wait for you whilst you visit, as this it’s not a very popular tourist spot so there aren't many taxis around. There are a number of walking tours that take place in Hue. Though, from what I can gather, none of them are free. Though, then again, there's so much to see that they likely are worth paying for. They are held by local Vietnamese citizens who are best placed to know not only what to do in Hue, but also to explain the rich and vivid history behind each of the attractions. 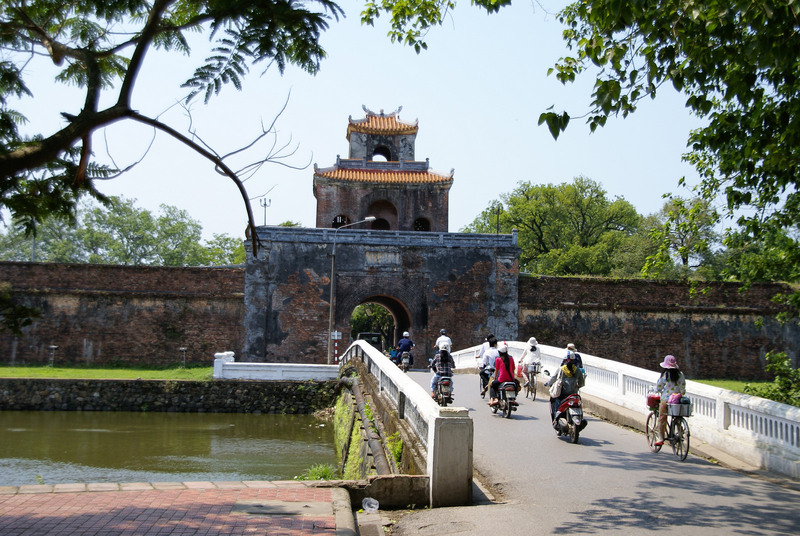 Hue is a popular city to rent out a bicycle for the day and to set of exploring. If you’re sticking to within the main part of the city, then that’s certainly not a bad idea as nothing is within too far a distance. Also, you could enjoy a nice peaceful cycle up Perfume River. However, many of the tombs are located at least 10 km or more outside of Hue city centre, so you might need a moped to go and visit these. The Thanh Toan Bridge is located slightly more than 10 km outside of Hue, and can be a little tricky to find as it is one of the less touristy things to see in Hue. However, it is still worth driving out to, and the ride takes you through some really lovely spots. I’ve taken a screenshot of where to head to below. (I recommend using maps.me to find your way). Also, the bridge has a rather interesting history that you can read more about here. The Perfume River runs through the centre of Hue and is a popular spot all throughout the day. In the morning, you’ll see joggers out getting their run in before the rising heat of the day. Later, there will be tourists roaming either side or taking a slow boat tour down the river itself. By night, the edges of the river come to life as local vendors open their stalls and start selling their wares. It’s also a nice place to go and get a bite to eat. If you’re looking for somewhere to go shopping in Hue, then the Dong Ba market is your best port of call. It is the biggest commercial centre in that whole region of Vietnam, and you can buy everything through from classical conical hats to traditional Vietnamese food. It’s open from 3am through till 8:30 at night, so you have plenty of time to visit. However, be warned that because you are a tourist, they will try to rip you off. In fact, some of the prices you hear will sound almost comical at first, before you realise it’s all a part of the game. I recommend knocking at least 50% off everything they offer and then counter with that. Plenty of people choose to go on a Danang to Hue day trip, as Danang is a popular coastal city to stay in. However, going on a day trip from Hue to Danang is an equally worthwhile experience. Especially if you’ve got plenty of time and would like to catch a glimpse of the stunning beaches there. If you’re riding your own moped there, then be sure to take the Hai Van Pass. It is a mountainous road that offers you some truly stunning views of the Vietnamese coastline. However, only go if you’re a confident rider and the weather is clear as the pass can be notoriously treacherous. The Hue Festival is an incredibly popular event, but you’ll be lucky if you get the chance to see it as it’s hosted only once every two years. In 2018 it takes place on April 27th and lasts through to May 2nd. The first festival took place back in 2000 and it is a chance to celebrate the rich historical and cultural values you can find in the nation’s old capital. Like the Olympic ceremony, the Hue festival is opened with a grand firework display and there’s plenty of events taking place all throughout the rest of the week. With so many amazing things to do in Hue, it’s easy to get knackered out and forget to enjoy yourself. Especially, if like us, you have a rigid schedule of sightseeing every single day. So, I recommend at least taking a few hours to just relax around the pool and soak up the sun. 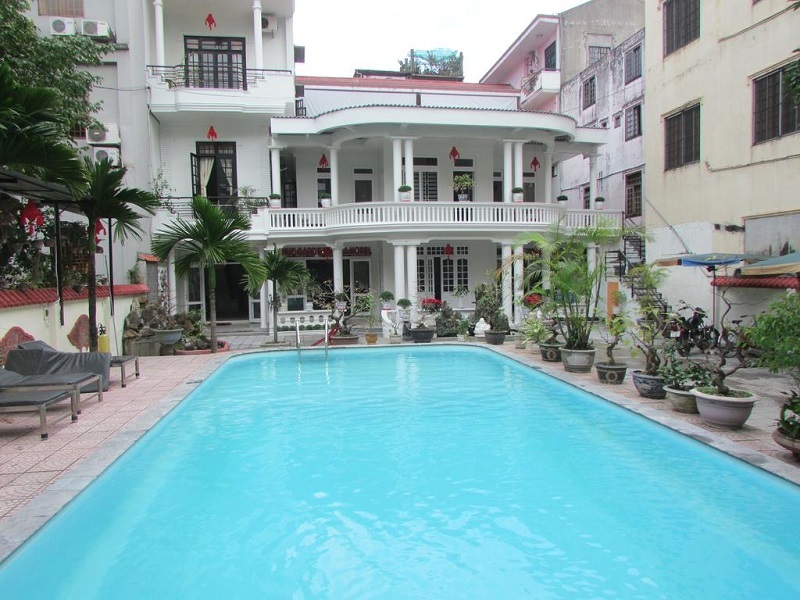 We stayed in a hotel called Hue Garden Villa. It cost only $10 a night each and we had a large modern room, as well as an outdoor pool. The staff are really friendly as well and give you a free welcome drink upon arrival. They helped us plan out our days in Hue and also assisted with bicycle and moped rental. You can find them here on booking.com. As always, the best and cheapest way to visit anywhere in Hue is to rent out a scooter. It is like this across all of Vietnam, and Southeast Asia in general really! Fuel is very cheap and you should be able to pick up a scooter in Hue for no more than $5. Speak to your hotel or hostel about renting one out. Oh, and check out this guide I wrote on renting a scooter in Southeast Asia. Depending on your budget, there are plenty of places to eat in Hue. We chose a few of the budget restaurants located in the main hostel area. I recommend heading up to the same area and taking a look around. I’ve left a screenshot below. Oh, and if you’re wondering what to do in Hue at night, then I’d recommend going to this same area. The bars there seem to be open quite late and there’s a fun, buzzing atmosphere. Much like the rest of Vietnam, Hue can become extremely hot once it approaches the middle of the day. This makes exploring Hue much less enjoyable, particularly the Imperial City which is very much open to the elements. I’d recommend getting an early start to your day and heading off to the sites as soon as they open, in order to try and beat the sun up. Then, maybe head back to your hotel for a dip in the middle of the day, before doing the remainder of the sites in the evening. Remember, in the busy summer months, the Imperial City is open until 10pm, so you might as well go visit later on in the day. How do you get to Hue? The cheapest way to get to Hue would be to buy yourself a hop-on, hop-off bus ticket when you start out in either Hanoi or Ho Chi Minh. This is what we did. It cost just $30 each and allows you to stop off at all of the major places through Vietnam, whenever you like. Also, I know a lot of people who choose to fly into and out of Hue, to avoid the longer bus journey North. Or, if you're coming up from Hoi An, then here is a link to a site that offers private transfers the whole way. This will also offer you the chance to see experience the Hai Van Pass on your way in. Well that’s it, you’re all set. You should now have plenty of things to do in Hue, so it’s time to go off and make your own memories. If you’ve been before and have anywhere else to recommend then let me know in the comments below! It’s the next logical stop and a great place to pick up a cheap suit! Or, if you’re heading North from Hue to Hanoi, then be sure to stop off in Phong NHA on the way. It plays host to the most spectacular caves in Vietnam and is a breathtaking region to explore. Looking To Experience Some Tours In Hue?